Pungent, slightly bitter, warm; spleen, kidney and heart meridians entered. Invigorate the spleen and kidney, tonify qi and induce tranquilization. spleen-kidney yang deficiency, inappetence, soreness and pain in lumbar and knees, insomnia and dreamful sleep. Decoct 6~15 g, or made into pill or powder or soaked in wine. Proper dosage is for external application, pounded into powder for applying. 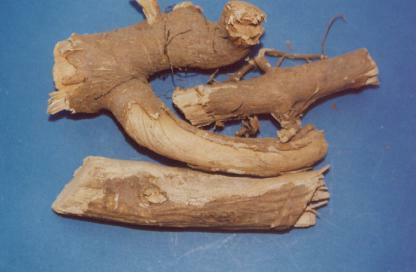 It is contraindicated in case of yin deficiency with effulgent fire.